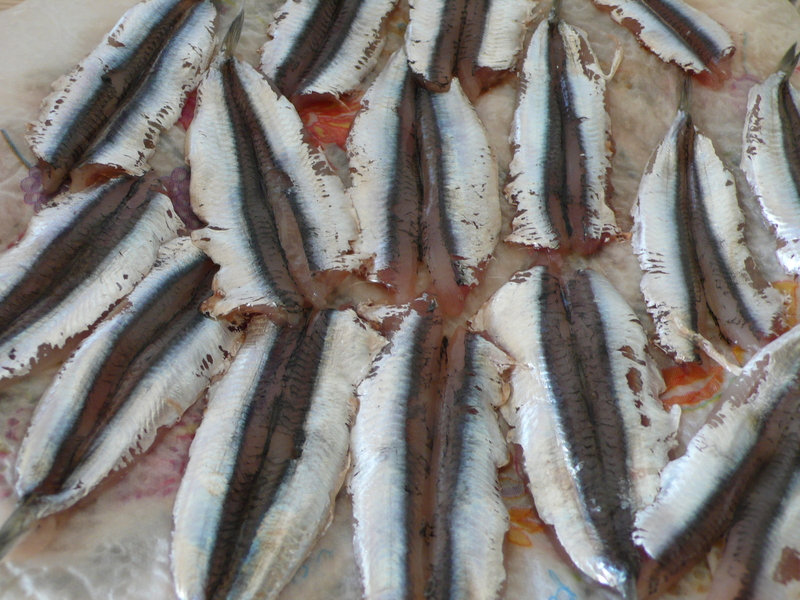 Fresh anchovies are such a special treat, of course I can find them pretty often here in Puglia, but they become a treat because cleaning them isn’t exactly fast or fun. They are worth the stinky paws and the time spent pulling off heads and pulling out bones and guts. This is a Sicilian recipe, very simple to make, but the flavors are complex and it would make a perfect antipasto to a seafood dinner. 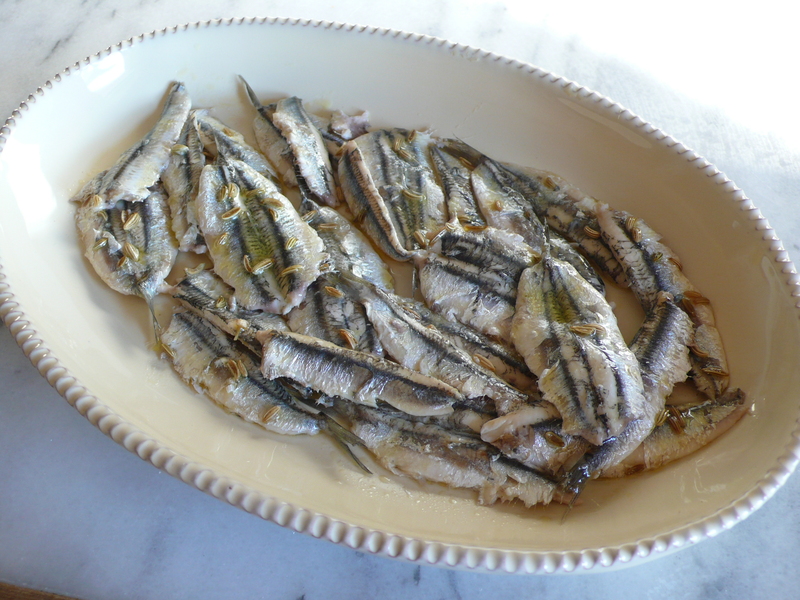 I made the mistake of only making a small portion of the half kilo of anchovies that I had bought and cleaned. I made the rest of them indorate e fritte which is my favorite. I should have made them all this way, I had to guilt my husband into sharing them with me, he was ready to set the platter in front of him and eat them all. I will know this for next time. 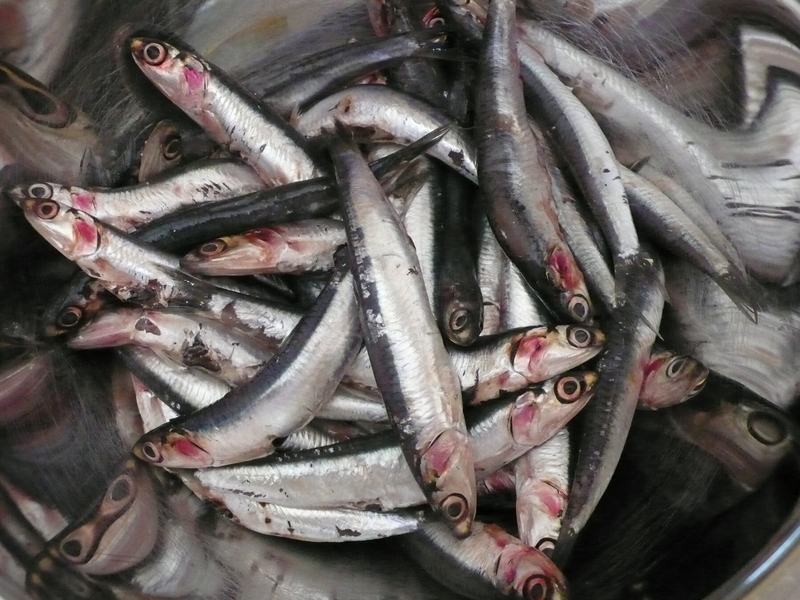 Clean the anchovies, remove the head and the guts, remove the spine by holding the tail and removing from the tail end, the tail keeps the body intact. Rinse them well and open them up like a book. Dry them off with paper towels. 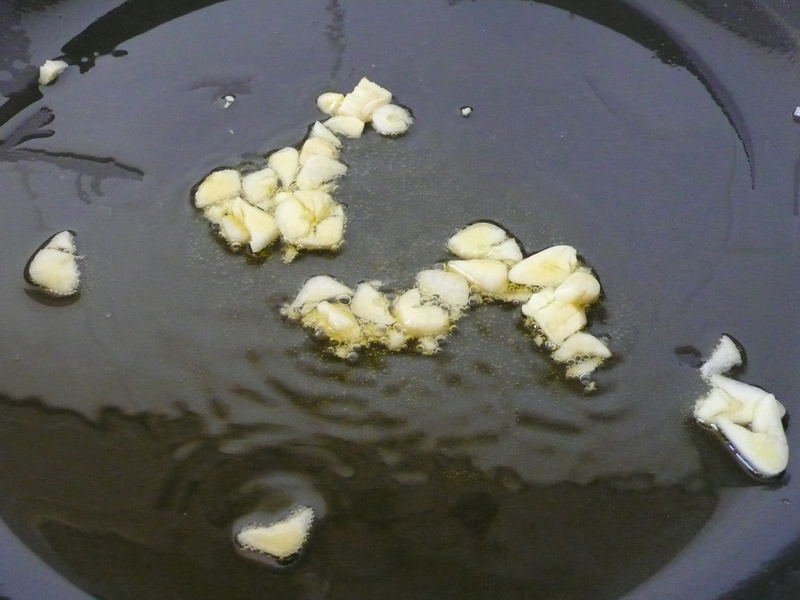 Peel the garlic cloves, mince them and put them in a pan with the oil over medium heat. 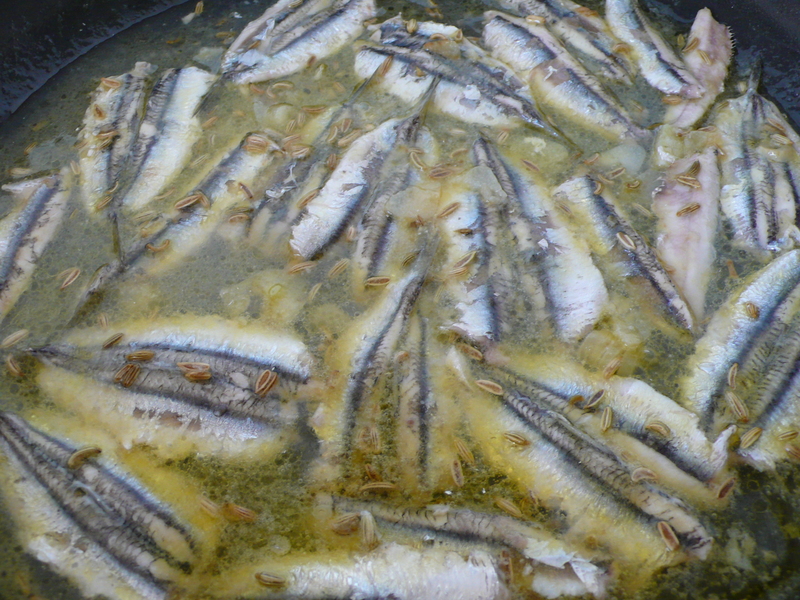 Leave them for a few minutes and before they start to color, add the anchovies without overlapping them. 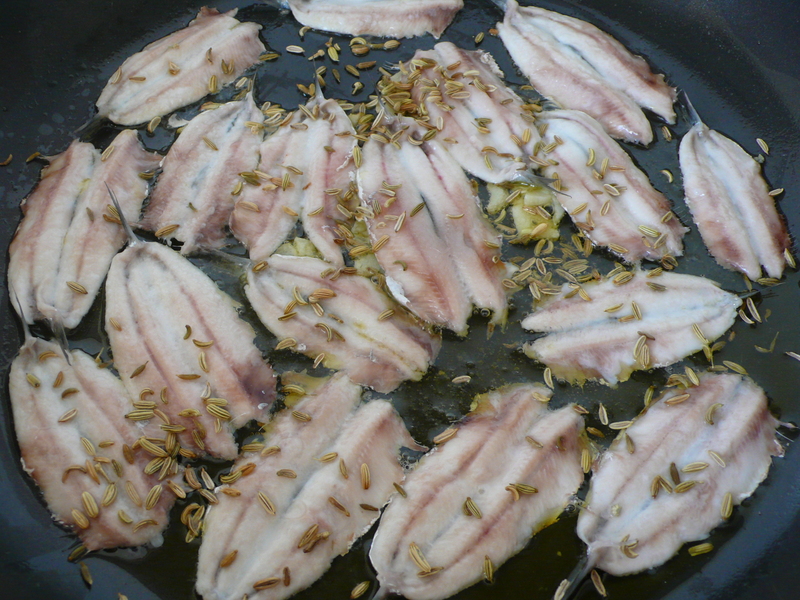 Sprinkle the fennel seeds, and add the salt and pepper to taste. After 1 minute pour in the white wine and bring it to a simmer for about 2 minutes or until they are cooked through, turning them only once. 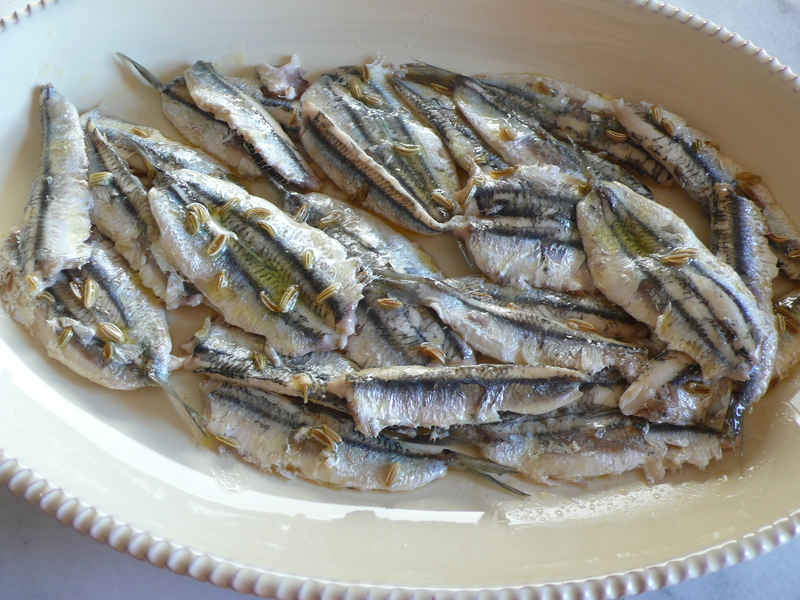 As soon as they are cooked place them in a serving plate, they can be eaten hot or at room temperature. ~ by italicious on July 29, 2013.